Netflix have churned out another highly rated original series, but this is their first from India. Following the success of series’ like Stranger Things and House of Cards, Netflix have now released Sacred Games. Netflix know we all love a good thriller, and stayed safe with the formula by rolling out another one. The show focuses on a Sikh policeman in the Mumbai police force, Sartaj Singh, and a criminal named Gaitonde. The series opens with a phone call from Gaitonde to Sartaj, informing him there’ll be an attack on the city in 25 days. And so the intensity begins. Sartaj Singh, a Mumbai police officer, receives an anonymous phone call from a gangster who threatens to blow up the entire city. Amid the corrupt standards of Indian law enforcement, begins a battle between a ‘nobody’ cop and ruthless gangster who perceives (sometimes) himself to be a God. The show debuted on Netflix on Friday (July 6), and has been a huge success already, scoring a rating of 100 per cent on Rotten Tomatoes, at the time of writing, with an audience score of 97 per cent. The series has been released in attempt to reach out to Netflix‘s Indian market, where Wired report Amazon take the lead in streaming services. If Netflix win India over, they could potentially have another 1 billion-plus viewers. The company are looking at India like Simon Cowell looks at an attractive 20-year-old boy who can sing – with dollar signs in their eyes and a ‘cha-ching’ sound in their head. A review by Mike Hale in the New York Times seemed to have some good comments about the new original release. 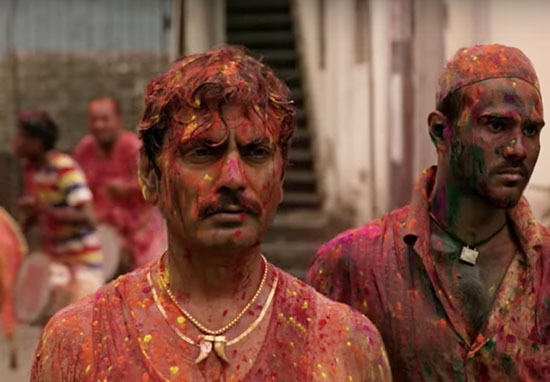 “Sacred Games,” opens the latest front in Netflix’s international campaign: India, offering both a vast pool of potential subscribers and an entertainment industry with global appeal. An array of future Indian projects has been publicized, but for starters Netflix has chosen a production from the same genre as a previous success, the American-Colombian “Narcos.” A gangster saga with a history lesson is apparently the best algorithm for cross-cultural success. Sacred Games is based on a novel written by Vikram Chandra, which was published in 2006. As the book is a single entity rather than a series, Netflix might have to use their imagination if the show’s success warrants more seasons. Sacred Games is by far the best Indian piece out there on Netflix Please watch it if you haven’t! You’ll watch Sacred Games (2018) sooner or later. Undoubtedly the finest ‘desi’ thing out there on Netflix. Brilliant adaptation. Strong performances. Unabashed dialogues that’ll make you think. Not a boring moment in any of the 8 episodes. The only downside was the low volume. Sacred Games is by far the best Indian piece out there on Netflix ? Please watch it if you haven't! You'll watch Sacred Games (2018) sooner or later. Undoubtedly the finest 'desi' thing out there on Netflix. Brilliant adaptation. Strong performances. Unabashed dialogues that'll make you think. Not a boring moment in any of the 8 episodes. Watch Sacred Games on Netflix now.